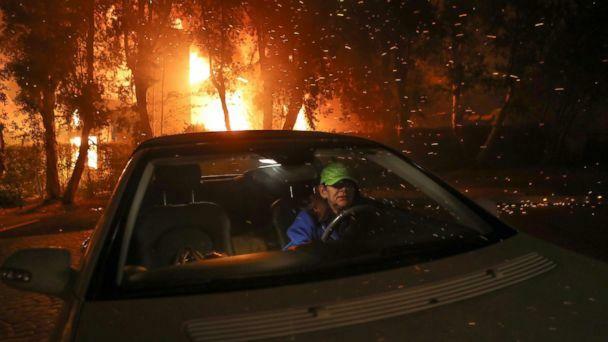 Two fast-moving wildfires that exploded in the hills of Southern California have forced thousands of evacuations, including the entire city of Malibu and a sprawling naval base, as extremely critical fire conditions roar back to life on Sunday. The largest of the two blazes, the Woolsey Fire, grew to 85,500 acres on Sunday after spreading south from Simi Valley in Ventura County to Agoura Hills in Los Angeles County, where the flames jumped the 101 Freeway and continued burning toward the Malibu area. That stretch of the freeway was shut down in both directions on Friday and remained so through the weekend. The fire grew over 10 times in size from Friday morning -- when it was just 8,000 acres -- to Saturday evening. It grew 2.5 times larger in just 24 hours Saturday. 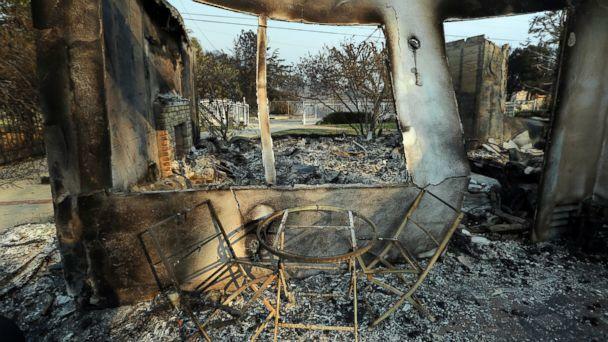 Two deaths at a residence in Los Angeles County were blamed on the Woolsey Fire, according to Cal Fire. Despite the growth on Saturday, conditions were expected to worsen over the weekend and into Monday. Extremely critical fire danger exists for the mountains between San Diego and Los Angeles with winds whipping as high as 70 mph. 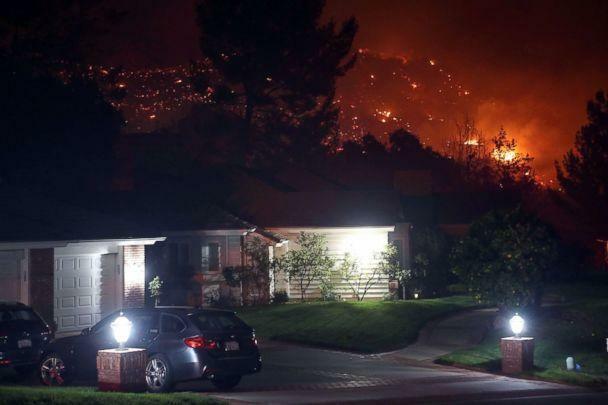 A small number of evacuation orders were lifted in the Simi Valley area late Saturday, but 170,000 residents were evacuated at the fire's height. More than 50,000 homes were evacuated. The massive blaze was still only 15 percent contained Sunday evening, though over 800 firefighting personnel were working around the clock to quell the flames, according to Cal Fire. Late on Friday, President Donald Trump declared a state of emergency for California, freeing up federal resources to supplement local response efforts to combat three major wildfires blazing across the state. The declaration allows the U.S. Department of Homeland Security and the Federal Emergency Management Agency to coordinate disaster relief efforts to help alleviate the hardship and suffering caused by the emergency on the local population, provide support for emergency measures and free up federal resources. But on Saturday morning, Trump threatened to pull federal funding for California wildfires if the state didn't "remedy" the situation. 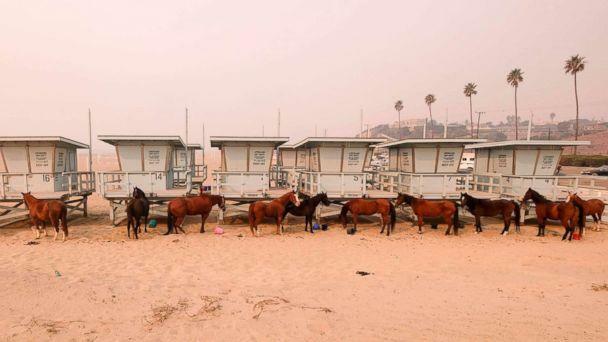 Residents in Ventura and Los Angeles counties have evacuated, including a mandatory evacuation for all of Malibu, according to the Ventura County Fire Department. 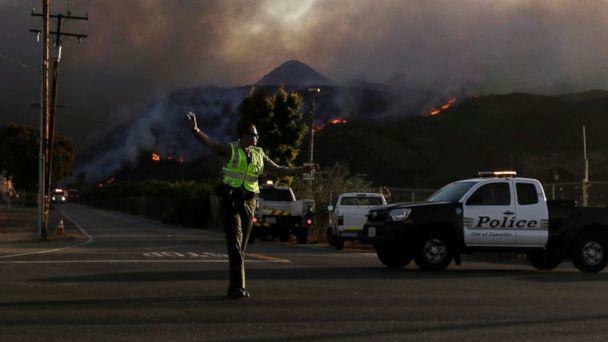 Pepperdine University in Malibu ordered its students and faculty to shelter in place Friday night as the rest of the city was evacuating. The school lifted the shelter-in-place order Saturday morning but closed its offices and canceled all classes and events on its Malibu and Calabasas campuses through Tuesday. "I can't speak to the facts, but at some point there was a determination made for the students to stay in place because at that moment it wasn't safe to evacuate," Chief Daryl Osby of the Los Angeles County Fire Department said. "So we protected the students where they were, and we were successful in that endeavor." 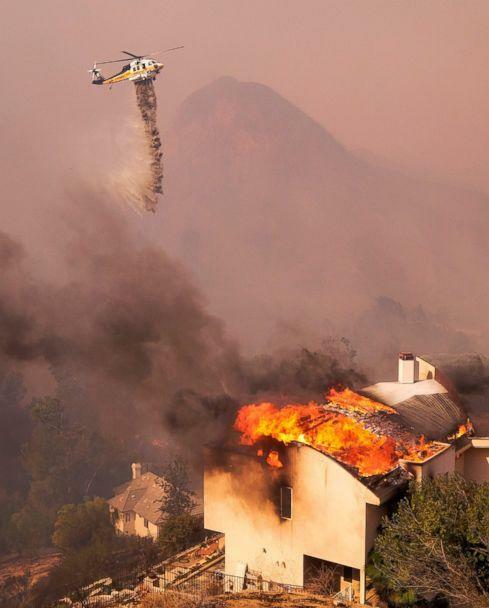 Andrew Benton, the president of Pepperdine University, later explained that the school, in cooperation with the fire department, has planned to shelter in place during these situations since 1993, after dangerous brush fires threatened its Malibu campus in 1985. 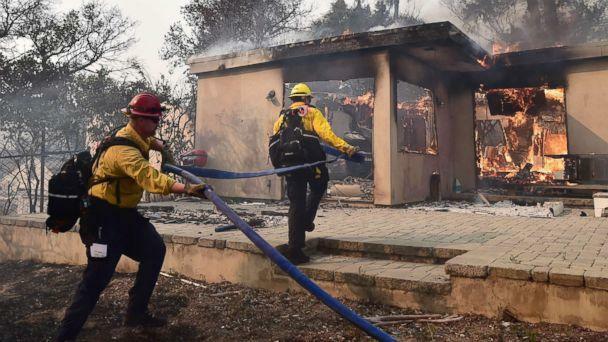 The Woolsey Fire has damaged or destroyed a number of structures, including celebrity homes and a legendary Hollywood film set. Caitlyn Jenner posted an Instagram video on Friday, saying she had evacuated to a safe house but wasn't sure what had become of her residence in the Malibu hills. Lady Gaga, Mark Hammill, Kim Kardashian West and her sister Kourntey Kardashian also reported via social media they they have fled their homes due to the wildfires. Meanwhile, the Woolsey Fire burned down a portion of Paramount Ranch in Agoura Hills known as "Western Town," where hundreds of movies and television shows, including HBO's "Westworld," have been filmed, dating back to the 1920s. Authorities have described the blaze as a very dangerous, wind-driven inferno. The Woolsey Fire ignited Thursday afternoon in Simi Valley, northeast of Thousand Oaks, not far from where a mass shooting claimed at least 12 lives late Wednesday night. A smaller blaze, the Hill Fire, ignited around the same time Thursday in the Santa Rosa Valley area of Ventura County, northwest of Thousand Oaks. The fire was burning an area of about 4,500 acres on Saturday, as firefighters increased the containment level to 25 percent. Several areas were under mandatory evacuation orders, including the Naval Base Ventura County's facility in Point Mugu, located near Oxnard, according to the Ventura County Fire Department. Authorities had warned the flames could potentially spread all the way to the Pacific Ocean. The governor-elect of California, Gavin Newsom, on Friday issued an emergency proclamation for Ventura and Los Angeles counties due to the Woolsey and Hill fires. 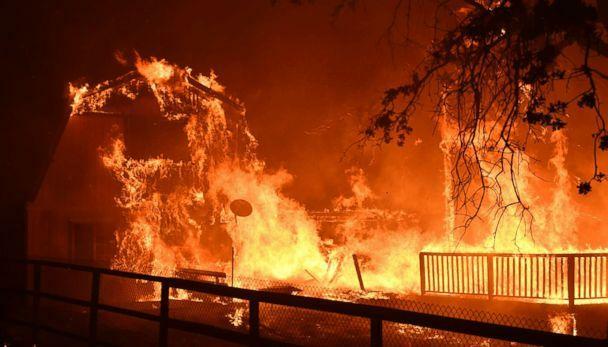 Meanwhile, a wildfire has laid waste to entire neighborhoods in Northern California. 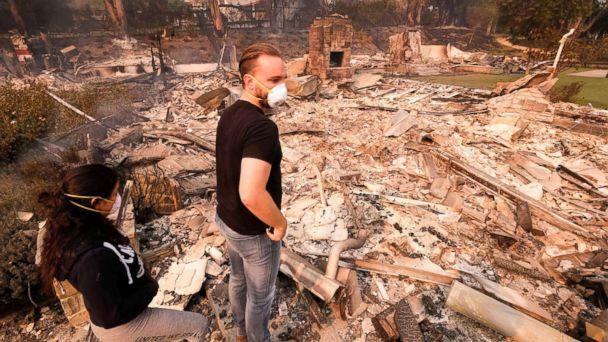 Several people were found dead Thursday in the torched town of Paradise, which has been almost entirely decimated by the Hill Fire, authorities said. ABC News' Karma Allen, Alexandra Faul, Matthew Fuhrman, Max Golembo, Karine Hafuta, Marilyn Heck, David Herndon and Bonnie McLean contributed to this report.